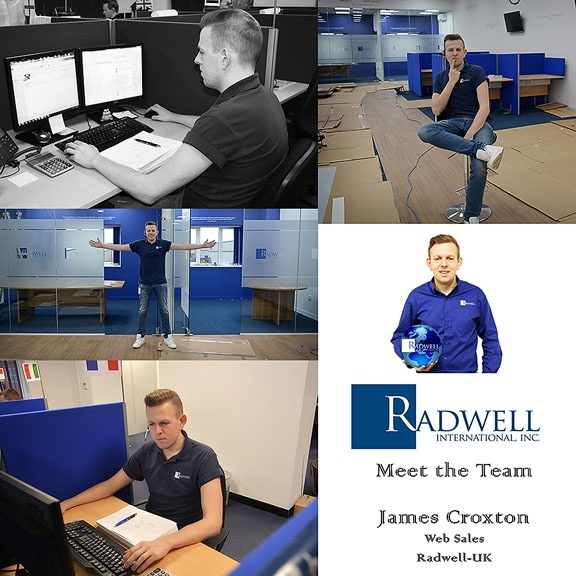 In this week’s MEET THE TEAM, we’re featuring James Croxton who works in web sales at Radwell-UK. Fun Fact about your job that others might not be aware of: I get to tell a morning joke in the team meeting everyday. Favorite Quote: If at first you don’t succeed, sky diving isn’t for you. Describe a great adventure you have had in your life: I recently went to Bulgaria for my 30th and tried paragliding and jet skiing for the first time. Good fun!